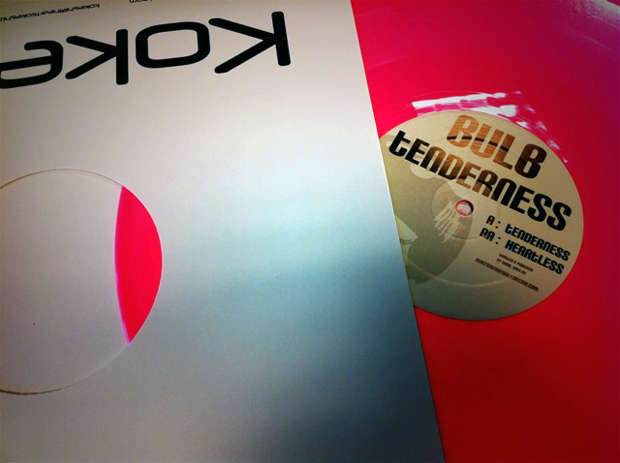 Kokeshi returns with their 6th release, this time brought by the musical wizard that is Bulb. Two swelling masterpieces of what I guess verges on Drum & Bass, but all together incredible music to listen to. We’re big fans of Kokeshi here at TDS, they release some truly beautiful pieces of music and they’re brave for doing so as well, pressing all of them to wax. This new release sees Russian producer Bulb present two incredible pieces of atmospheric Electronica that verge on the outskirts of Drum & Bass, making for a very strong release. Chuck in the fact that it comes on a hot pink 12″ vinyl and it’s a solid win. Grab this release in all good record stores now, including Boomkat (vinyl & digi), and check out clips of both the tracks below.